Over 25 magical projects with easy-to-follow instructions! Both novice and expert crafters will enjoy this variety of projects. Each craft comes with a list of all the items and templates that you will need to create your unicorn-fueled fun. There's no shortage of ways that you'll be able to envision these dazzling Unicorn Crafts?the perfect activities for any adventurous unicorn fan. Great for yourself or to give as gifts, but you’ll probably want to make them for both… Get ready to spread the magic! 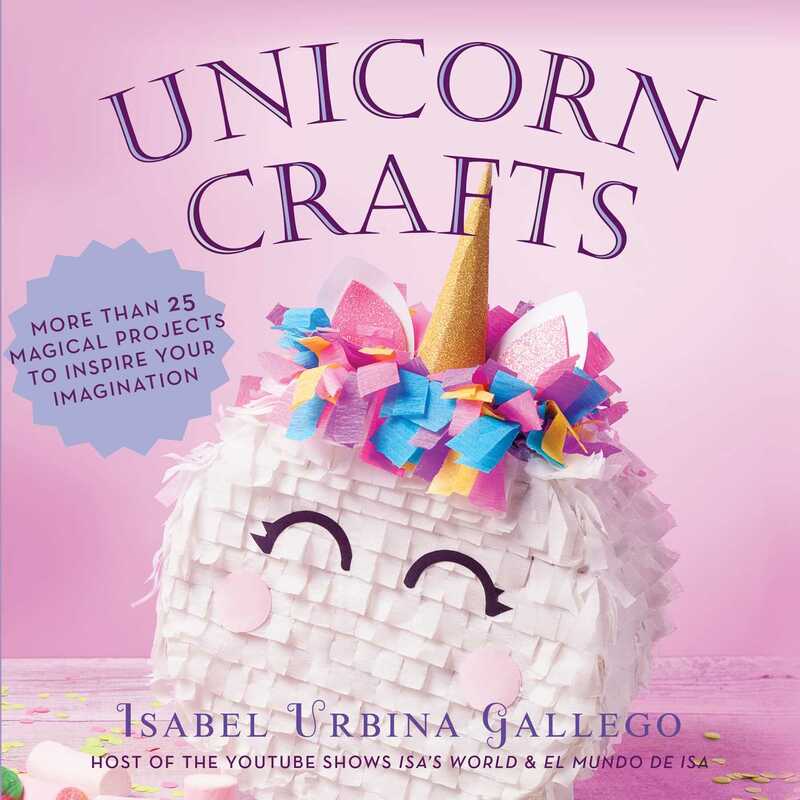 Isabel Urbina Gallego, better known as Isa, is the author of Unicorn Crafts. She started the blog and YouTube channels called Isa's World and El Mundo de Isa in May 2014, where she continues to upload new videos on crafting every week. She enjoys creating videos on themes such as DIY, easy cooking recipes, ideas for decorating, challenges, and hauls, but holds a special preference for recycled materials. She lives in a little house on the outskirts of Madrid and enjoys blankets, comfortable clothes, a warm coffee, and walking around her house in slippers.